Represented major telecommunications company in a nationwide class action involving claims of improper activation of stolen devices resulting in successful defeat of class certification. Successfully defended a major corporation against spoliation claims following contentious ESI disputes. See Danny Lynn Elec. & Plumbing, LLC v. Veolia ES Solid Waste Southeast, Inc., Slip Copy, 2012 WL 1571314 (M.D. Ala. May 4, 2012). Successfully resolved a seven-figure dispute on behalf of large national bank arising from a letter of credit to secure purchase money financing for oil pump units in Texas. Defended large national bank in a series of cases involving the unauthorized transfer of substantial customer assets arising from sophisticated third-party, phishing activities. Successfully represented major law firm in legal malpractice action arising from the alleged negligent failure to properly construct a multi-million dollar bond issue. The favorable decision was subsequently affirmed by the Alabama Supreme Court. See Coilplus-Alabama, Inc. v. Vann, 53 So. 3d 898 (Ala. 2010). Represented a global environmental waste company in a series of nationwide class actions pending in Alabama, Georgia, and Illinois alleging improper pricing and billing practices. Among other things, successfully secured dismissal of RICO claims against corporation, corporate subsidiaries, and high-level officers. See Danny Lynn Electrical & Plumbing, LLC v. Veolia ES Solid Waste Southeast, Inc., 2011 WL 2893629, RICO Bus. Disp. Guide 12,096 (M.D. Ala. July 19, 2011); Danny Lynn Electrical & Plumbing, LLC v. Veolia ES Solid Waste Southeast, Inc., 2010 WL 51356, RICO Bus. Disp. Guide 11,973 (M.D. Ala. December 9, 2010). Successfully tried to verdict a Telephone Consumer Protection Act (TCPA) case filed in Tampa, Florida on behalf of a large national bank. Successfully tried a mortgage fraud and loan servicing case filed in Miami, Florida on behalf of a large national bank in which significant damages were claimed by the Plaintiff. Represented a national financial institution in matters related to unauthorized wire transfers conducted by cybercriminals who fraudulently gained access to account holder credentials and personal information. Represented a health care company in a dispute with a regional financial institution in matters related to unauthorized Automated Clearing House ("ACH") transactions. Bryan Balogh is a seasoned litigator who came to Burr & Forman from one of the finest boutique litigation firms in the Southeast. Known for his calm and considered approach to solving difficult issues, Bryan regularly represents and counsels clients in litigation matters throughout the country. 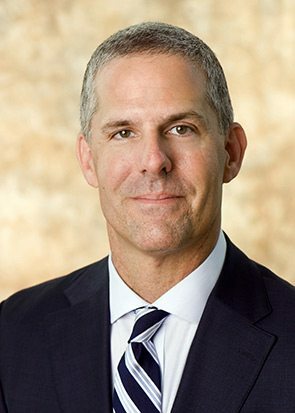 Bryan focuses his practice on complex business litigation involving disputes with significant risk and damages, with a particular emphasis on class action litigation involving corporations and financial institutions. Bryan has had the privilege to collaborate with lawyers throughout the country on litigation involving common clients and issues. In this regard, Bryan has served as regional and national coordinating counsel, and has also served as local counsel in matters coordinated outside the State of Alabama. Bryan also has experience in the areas of professional liability defense, products manufacturing, telecommunications litigation, broker/dealer litigation, and mortgage litigation.